This is one of the books Charity asked me to read about 2 years ago, with seminary and moving I wasn't able to read it until recently. In fact the book was so confusing, impacting, interesting and life changing I stopped reading it after 8 chapters. Yep, I stopped reading it! I took a month break from the book to think about, process and apply what I'd been reading. Once I felt like I could pick it back up again I grabbed it and restarted reading the book. Its not a short book, but its a great book! Coming from a broken home I have a skewed view of parenthood. I'm not saying my view is completely incorrect, I'm not saying my parents are bad people; I am saying I've never lived in a home with a set of married parents (beside my home today). 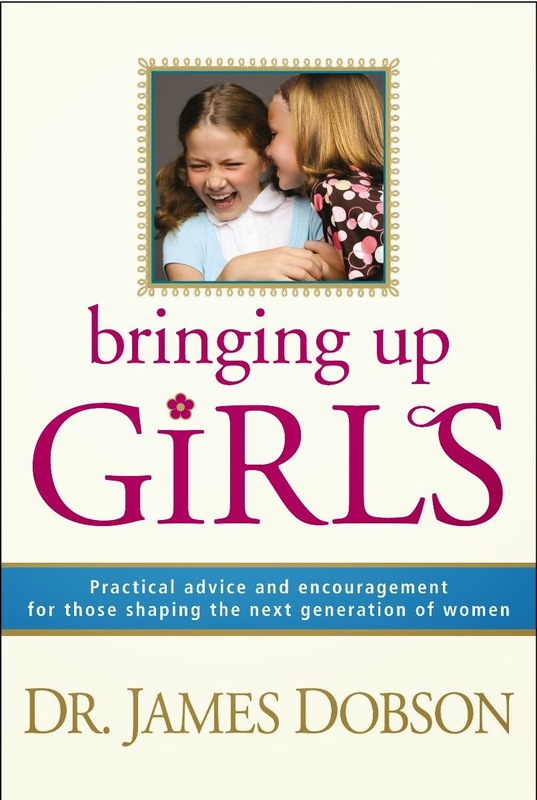 Dobson takes the time to explain, throughly in this book of how important my role is in the life of my daughters. The key word here is appropriate. All too often, from what I read, dads are showing inappropriate physical touch: sexual touch. My daughters need me to show them appropriate physical touch. For me, this involves lots of hugs, kisses, cuddling, hand holding and carrying my kids. Dobson talks about how important my role, as a father, is in my daughter's life and my physical touch will show that. Working with students for almost a decade I've seen the effects of girls who don't have a dad and boy I don't want my kids to act like that. There are times I want to run... from my kids. There are times my kids are: screaming, crying, whining, and having a tantrum (I have normal kids even though I'm a pastor). When they act like this I want to leave; just being honest. I have actually given myself time-outs before and taken walks to clear my head. Dobson shares about how important it is for dads to engage with their kids and not push them away. Dads, we need to engage our kids all the time, frequently and when its tough! I've recommended this book to so many dads. If you're a dad go get it and start reading it! Hit me up if you want to talk about it.